Good numbers of hair care consultants have emerged in the Indian market, with each offering a sustainable solution to prevent the hair loss. Catching on this sudden offshoot in the market, Dr Reddy’s is quick to grab the opportunity by launching a new product HAiROOTZ-India’s first hair growth supplement available over the counter. 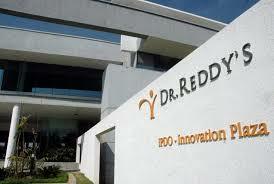 The internal research and study by the Dr Reddy’s implies a growing need for such a supplement in the market. Common male pattern baldness has existed for a long time. However, the modern lifestyle and stress has made hair loss and graying more prevalent in the age group of 35-50 years. Thus the requirement for an easy and accessible remedy. People can buy the drug from all the leading departmental, pharmacy stores and online retailers. The supplement provides key nutrients needed for maintaining healthy hair and according to the company, has a unique formula including grape seed extract containing potent antioxidants. HAiROOTZ comes from the same branch of business that markets MINTOP, the number one dermatologist recommended brand in the country, the Hyderabad-based company said in a statement.